directed by Clay Staub, written by Peter Aperlo, Clay Staub. (Canada, USA) – World Premiere, Narrative. Struggling to overcome a recent professional tragedy, a tough-as-nails FBI agent (Amanda Schull) relocates to a small North Dakota town to investigate the disappearance of a local woman and her young son. The search leads to the missing woman’s husband’s (Milo Ventimiglia) secluded farm, on which answers, new mysteries, and God-fearing terrors await. Not to mention, something locked and caged down in the basement. With Shawn Ashmore, Bridget Regan, Jonathan Frakes. directed by Patrick O’Dell. (USA) – World Premiere, Documentary. Dumb: The Story of Big Brother Magazine charts the rise and fall of the irreverent, boundary-pushing “Big Brother Magazine”, whose taboo-breaking stunts and unapologetically crass humor spawned MTV’s Jackass and a generation of skaters. Featuring a trove of original footage and interviews with the magazine’s major players, Dumb celebrates the lowbrow legacy of this touchstone of 90’s counterculture. With Johnny Knoxville, Spike Jonze, Steve Rocco, Bam Margera, Steve-O, Tony Hawk, Chad Muska. A Hulu release. directed and written by Ben Young. (Australia) – New York Premiere, Narrative. Dark forces lurk behind the sunny façade of an unassuming Australian suburb in Ben Young’s stylish directorial debut. This ‘80s-set true crime thriller follows 17-year-old Vicki on the night she’s abducted by a disturbed couple. While bound to a bed inside of the kidnappers’ home and subjected to psychological and physical torture, Vicki must find a way to drive a wedge between her unhinged captors and escape by any means necessary. With Emma Booth, Ashleigh Cummings, Stephen Curry, Susie Porter, Damian de Montemas, Harrison Gilbertson. A Gunpowder & Sky release. Presented in partnership with Venice Days. directed and written by Mickey Keating. (USA) – World Premiere, Narrative. Over the course of one excessively blood-soaked night, multiple serial killers’ paths cross, leaving a trail of bodies and begging the question: Which psychopath will live to see morning? One of the most exciting and unclassifiable new voices in indie horror, Mickey Keating delivers his wildest ride yet with this ultra-stylish and uber-violent descent into madness. 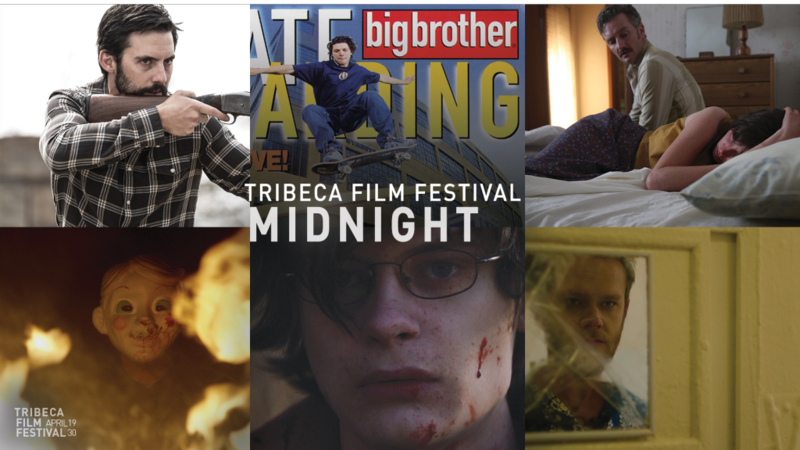 With Ashley Bell, James Landry Hébert, Mark Kassen, Angela Trimbur, Larry Fessenden, Jeremy Gardner, Sam Zimmerman. directed by Kevin Phillips, written by Ben Collins, Luke Piotrowski. (USA) – North American Premiere, Narrative. Teenagers Zach and Josh have been best friends their whole lives, but when a gruesome accident leads to a cover-up, the secret drives a wedge between them and propels them down a rabbit hole of escalating paranoia and violence in Kevin Phillips’ atmospheric ‘90s-set mystery-thriller. With Owen Campbell, Charlie Tahan, Elizabeth Cappuccino, Max Talisman, Sawyer Barth, Amy Hargreaves. directed by Kasra Farahani, written by Jason O’Leary, Kasra Farahani. (USA) – World Premiere, Narrative.